Really good sounding, affordable headphones are hard to come by for obvious reasons. If there's one company that specializes in good sounding audio products that are reasonably priced, it's NuForce. After years of making in-ear headphones, speakers and headphone amps, NuForce has introduced its first pair of over-the-ear cans that offer professional sound quality at an affordable price. 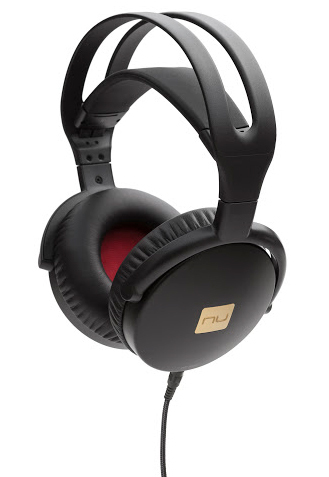 NuForce's new HP-800 are a $150 studio and audiophile-grade, over-ear headphones built with a sturdy aluminum frame and 40mm neodymium drivers tuned to deliver a wide dynamic range and life-like soundstage. The HP-800 feature plush memory foam ear cushions designed to be comfortable for prolong listening sessions. NuForce says that it's relying on pricing its quality-made headphones at realistic price points in order to enhance its reputation for value and performance amongst audio enthusiast. NuForce's HP-800 headphones are available right now in black for $150. Two removable cables for portable and studio use.